We are Harmony at Home Ltd, a company registered in England, number 07351678. Our address is Kemp House, 152-160 City Road, London, EC1V 2DW. “Licensed Product” means any product, material or thing offered for Licence by us on Our Website, whether or not bought by you. A reference to “Product” shall be a reference to all or part of a Product or to a Product changed by you in any way. “Service” means any service we sell from time to time, whether or not connected to a Licensed Product. 3.4. Unfortunately, we cannot guarantee that every Product advertised on Our Website is available. If at any time a Product becomes unavailable, we will immediately refund any money you have paid. Please note that following sub paragraphs apply to charged Services we offer on Our Website. 6.1. For all purposes at law, the contract between us is not made until you have agreed these terms, whether via Our Website or in hard copy, and we have agreed in writing to provide the Service you want. 6.2. Whether or not you have paid any money to us at that time is neither relevant to the start of the contract or your right to cancel. 6.3. The contract is not made automatically at the point when you have agreed to these contract terms. That is merely your offer. The contract is made later, when we accept and agree to provide the Service you want. 6.4. Most customers want us to supply a Service before the expiry of the 14 day cancellation period. Our business system therefore operates on the basis that we supply a Service as soon as we can, without waiting for the 14 day cancellation period to expire. 6.5. Before we agree to supply a Service, we therefore ask that you give up your right to cancel, as the Regulations allow. If you do not agree, we shall not be able to work for you within 14 days of receiving your order. 6.6. So far as our Service is continuing, you may cancel it at any time before we have completely provided it. If you do, we will return to you any money paid after deduction of an appropriate amount to cover any part of the Service we have supplied, including work we may not by then have told you about. 6.8. Free Services (if any) are not covered by the Regulations. 6.9. Most of our Products are “delivered” either by allowing you to download them or by our sending as email attachments. As a result we are unable to allow you 14 days to return a downloaded Licensed Product. 6.10. To comply with the Regulations we require you to instruct us to deliver a Licensed Product to you immediately. If you do this you will lose your right to cancel in the 14 day period. 6.11. 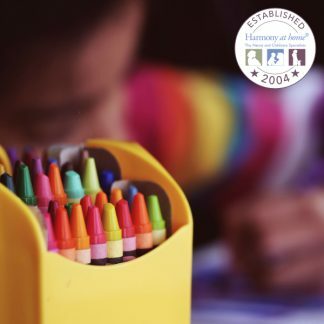 By accepting Harmony at Home Nanny Academy terms and conditions, you now do instruct us to deliver a Licensed Product as soon as we are reasonably able and you understand that in doing so you lose your right to cancel. 6.12. You have no right to a refund of money paid for a Licensed Product once that Product has been made available to you by email or download. 9.7. You now irrevocably authorise us to publish feedback, comments and ratings about your activity through Our Website, even though it may be defamatory or critical. 9.8. Posting content of any sort does not change your ownership of the copyright in it. We have no claim over it and we will not protect your rights for you. 9.9. You understand that you are personally responsible for your breach of someone else’s intellectual property rights, defamation, or any law, which may occur as a result of any Content having been Posted by you. 9.10. You accept all risk and responsibility for determining whether any Content is in the public domain and not confidential. 9.11. Please notify us of any security breach or unauthorised use of your account. 9.12. We do not solicit ideas or text for improvement of our Service, but if you do send to us material of any sort, you are deemed to have granted us a licence to use it in the terms set out at sub paragraph [five / number] above]. 12.2. You acknowledge that Harmony at Home Nanny Academy service may also be interrupted for many reasons beyond our control. 14.2. All implied conditions, warranties and terms are excluded from this agreement. 14.3. Our Website includes Content Posted by third parties. We are not responsible for any such Posting. If you come across any Content which offends against this document, please contact us via the “Contact us” page on Our Website. 14.4. You are advised that Content may include technical inaccuracies or typographical errors. This is inevitable in any large website. We would be grateful if you bring to our immediate attention, any that you find. 14.5.4 available or accessible, without interruption, or without error. 14.6. Our Website contains links to other Internet websites. We have neither power nor control over any such website. You acknowledge and agree that we shall not be liable in any way for the content of any such linked website, nor for any loss or damage arising from your use of any such website. 14.7. We claim no expert knowledge in any subject. We disclaim any obligation or liability to you arising directly or indirectly from information you take from Our Website. 14.8. You agree that in any circumstances when we may become liable to you, the limit of our liability is the amount you have paid us in the immediately preceding 12 month period for the Licensed Products concerned. 14.9.2 economic loss or other loss of turnover, profits, business or goodwill even if such loss was reasonably foreseeable or we knew you might incur it. 14.10. This paragraph (and any other paragraph which excludes or restricts our liability) applies to our directors, officers, employees, subcontractors, agents and affiliated companies (who may enforce this clause under the Contracts (Rights of Third Parties) Act 1999, as well as to us. 14.11. If you become aware of any breach of any term of this agreement by any person, please tell us by post to the correct address. We welcome your input but do not guarantee to agree with your judgement. 16.1. If any term or provision of this agreement is at any time held by any jurisdiction to be void, invalid or unenforceable, then it shall be treated as changed or reduced, only to the extent minimally necessary to bring it within the laws of that jurisdiction and to prevent it from being void and it shall be binding in that changed or reduced form. Subject to that, each provision shall be interpreted as severable and shall not in any way affect any other of these terms. 16.2. You undertake to provide to us your current land address, e-mail address, telephone and fax numbers as often as they are changed together with all information that we may require to enable us to fulfil our obligations under this contract. 16.3.1 publish all text and Content relating to the claimed breach, including your name and email address and all correspondence between us and our respective advisers; and you now irrevocably give your consent to such publication. 16.3.3 issue a claim in any court. 16.6. For the purposes of the United Kingdom Data Protection Act 1998 and any comparable law of any other country having jurisdiction and relating to the location of data processing, you consent to the processing of your personal data (in manual, electronic or any other form) relevant to this agreement, by us and/or any agent or third party nominated by us and bound by a duty of confidentiality. Processing includes but is not limited to obtaining, recording, using and holding data in any country. 16.7. You agree that we may disclose your information including assigned IP numbers, account history, account use, etc. to any judicial or proper legal authority who makes a written request without further consent or notification to you. 16.8. Any communication to be served on either of the Parties by the other shall be delivered by hand or sent by first class post or recorded delivery. 16.10. This agreement does not give any right to any third party under the Contracts (Rights of Third Parties) Act 1999 or otherwise, except that any provision in this agreement which excludes or restricts the liability of our directors, officers, employees, subcontractors, agents and affiliated companies, may be enforced under that Act. If you want us to immediate deliver/download a product other than to wait for 14 days away, please complete the form below. · confirm that you want us to deliver downloaded products or products we send to you as email attachments or some other open digital format, before the expiry of 14 days. · confirm that you want us to start work for you in any service provision, whether this is incidental to a product or sold separately. · accept that you will lose your right to cancel the contract. · understand that your agreement is a term of the contract between us. · confirm that you want us to start work and or supply service before the expiry of 14 days. To exercise the right to cancel, you must inform us of your decision to cancel this contract by a clear statement, sent to us by post. You are: Anyone who buys a Licence from us. These Product Licence Terms are supplemental and additional to the above terms and conditions (the “T&C”) relating to use of Our Website. By buying or using any Licensed Product, you agree to be bound by them. “Restrictions on Use” means first, the restrictions set out in this agreement and second, all restrictions or limitations arising from choices you made at the time of purchase. These may relate to limitations on use, territory, duration, or any other choice which defines the Licensed Product. 3.3. We do not offer the Licensed Products in all countries. We may refuse a Licence if you live in a country we do not serve. 3.4. If any information you give us is inaccurate, your Licence is automatically terminated and no refund of money will be due to you. 3.5. Subject to the terms of this agreement, we grant to you a Licence to use a Licensed Product. 3.6. This Licence is limited by the Restrictions on Use. You agree to comply with all Restrictions on Use no matter how communicated to you. 3.8. Any continuation of your Licence by us or by you after the expiry of one year is a new contract in the terms then shown on Our Website. Your continued use of our Licensed Product after that shall be deemed acceptance by you of the changed Product, system and/or terms. 4.1. You must not sub-license a Licensed Product. 4.3. You may not allow any other person to use a Licensed Product except in the situation or context for which you have bought it. 4.5. You may not remove any identification or reference number or other information which may be embedded in any file of a Licensed Product. 4.6. 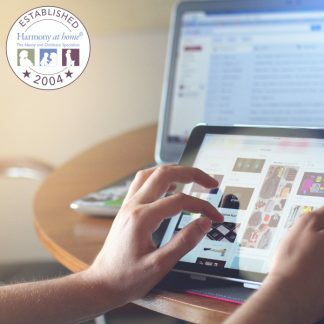 Every publication or appearance of a Licensed Product on a website must be protected as far as the law allows by separate, specific or general provisions against copying or publishing. We allow you to use the definition of “Copy or Publish” used in this agreement. 5.2. to a contractor of yours whose contract is to work on the project or purpose for which you have bought the Licensed Product. In this case the Licence extends only to that project or purpose. If this happens, you remain liable to us in every way for the acts and omissions of your contractor. We advise you to obtain an appropriate agreement from your contractor to protect you in this regard. 6.1.2 notify us of any suspected infringement of the Intellectual Property. 6.2. If you use a Licensed Product in a way not allowed by this agreement we may take legal action anywhere in the World. If loss to us or any other person results from your wrongful action, you will be liable to pay. 6.3.3 destroy any work of yours derived from a Licensed Product. 6.4. To give us assurance that you are using the Licensed Product in accordance with the terms of the Licence, you agree that you will give us copies of your works and materials containing or using a Licensed Product. We will give you 14 days notice of this requirement. You agree also to provide access to relevant pages which have restricted access or are fire-walled. 6.5. If we reasonably believe that you are using a Licensed Product outside the scope of this Licence, you agree to provide written confirmation of your compliance, in a form to be drawn by us. 7.2. You may assign and transfer all your rights and obligations under this agreement to any person to which you transfer all of your business, provided that the assignee undertakes in writing to the other party to be bound by your obligations under this agreement. 8.5. in any event when you may be liable to the Third Party Owner for breach of this agreement, you will indemnify us for all cost and liability arising from our relationship with the Third Party Owner, our acting as his agent, or your buying a Licensed Product owned by him. 9.1. At any time if we decide in our absolute discretion that you have failed to comply with any of the terms of this agreement, we reserve the right to terminate this agreement without refunding to you any payment made. 9.2. Our Licensed Products are marked on Our Website with a notation as to whether a release may be necessary. If not marked, you may take it that the Licensed Product in question has not been released. In the first instance please contact us regarding your request for a refund or date swap for the First Aid Course. You can request a refund for the First Aid training up to 10 days before the training commences. This does not affect your statutory rights. Want to switch to another date for your First Aid Training? Subject to availability on your preferred course date you can do that, just contact us. You must ensure that the course is suitable for your requirements. Harmony at Home Ltd accept no liability in the event of the course content not meeting the your requirements. The trainer providing the course, its venue and the certificates is Simon Elphick, who is a registered with CIEH, Ofqual and nucoplus. It is on the recommendation of the trainer that you acknowledge that you must be able to demonstrate practical work, a short assessment and a short multi choice question paper. This is to show that you have understood the training. You need to physically be able to get onto and back up from the floor. Please note that you will need to wear loose comfortable clothing to enable you to kneel and lay down, and that you need to provide your own food and drink.